I was born in Tokyo. After studying at universities in Japan and UK, I worked as a translator of news scripts for more than a decade. Now I'm a TV director of the international broadcasting service of Japan's public broadcaster. 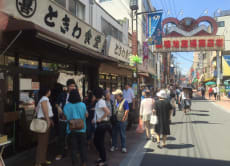 My family and I love our hometown, Tokyo's Ikebukuro, Otsuka, Sugamo districts. I don't have any special experience but have a lot of local experience especially in these areas. If you want to find things from a native's perspective in Tokyo, I can share my world!